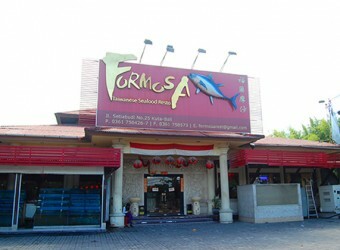 Bali Restaurant Formosa is a Chinese restaurant in Kuta area. Their dishes are Taiwan style, its tast is plain and soft. Inside the restaurant, you can find more than 300 chairs around the tables. If you look for some place to eat with many of your freinds, Formosa is one of capacious restaurant in Bali. Have a nice meal with inexpensive price!